It will take effort by all of us to achieve a future with clean energy and clean transportation. Some of the policies, technologies, and actions that can help are described below. As we move to a more sustainable society, we’ll need big thinkers, inventors, researchers, and policymakers to develop solutions. Will you be one of them? drive cars and trucks that use less gasoline or run on electricity or other alternative fuels. Everyone can play a part, including students and teachers. Our “carbon footprint” comes from our energy use at home, at work, and on the go. Tools like the C2ES Carbon Calculator help us figure out our impact and see how it compares to others in our community. Learn more about what you can do to make an impact on climate change. Solving climate change will take action by society – including local, state, and national governments – in the areas of electricity, building, transportation, land use, and industry. Twenty-nine percent of U.S. greenhouse gas emissions come from generating electricity. Most of the electricity is used in our homes, offices, and factories to power everything from heating and cooling systems to lights, computers, refrigerators, and cell phones. Renewable Energy: Renewable energy harnesses the power of the wind, sun, water, tides and other planetary resources (like geothermal heat, which comes from the Earth’s core) to produce electric power. Agricultural “biomass” products also can be used to generate electricity and heat when combusted with coal. Renewables generate electricity without producing greenhouse gases—or producing very little when compared to traditional energy sources. Did you know? Over half the states in the country have rules that require a certain amount of energy come from renewable sources. Check out this map to find renewable portfolio standards in your state. Nuclear Power: Nuclear power provides roughly 20 percent of U.S. electricity with virtually no greenhouse gas emissions. Yet, for nuclear power to play more of a role, the industry needs to overcome high costs and concerns about nuclear waste disposal. Learn more about nuclear power. Carbon Capture and Storage: Carbon capture and storage (CCS) is a technology that captures carbon dioxide emissions from factories and power plants and stores them underground. CCS technologies can capture up to 90 percent of carbon emissions from a facility. Almost a dozen commercial-scale carbon capture projects are operating around the world with 22 more in development. Learn more about carbon capture. These will help you and your friends make an impact and be good guardians of the environment. Greenhouse gas emissions from buildings result primarily from powering lighting fixtures, appliances, and heating and cooling systems. There are many ways to increase the energy efficiency of buildings, including installing more efficient lighting, EnergyStar-certified appliances like hot water heaters, and better insulation. Greenhouse gas emissions can be reduced by making power on-site with renewables and other climate-friendly energy resources. Examples include rooftop solar panels, solar water heating, small-scale wind generation, fuel cells powered by natural gas or renewable hydrogen, and geothermal energy. Learn more about reducing energy use from buildings. Improved Fuel Efficiency: Standards agreed to by federal agencies, California, and the auto industry aim to raise average fuel economy for passenger cars to up to 54.5 miles per gallon (mpg) for model year 2025. 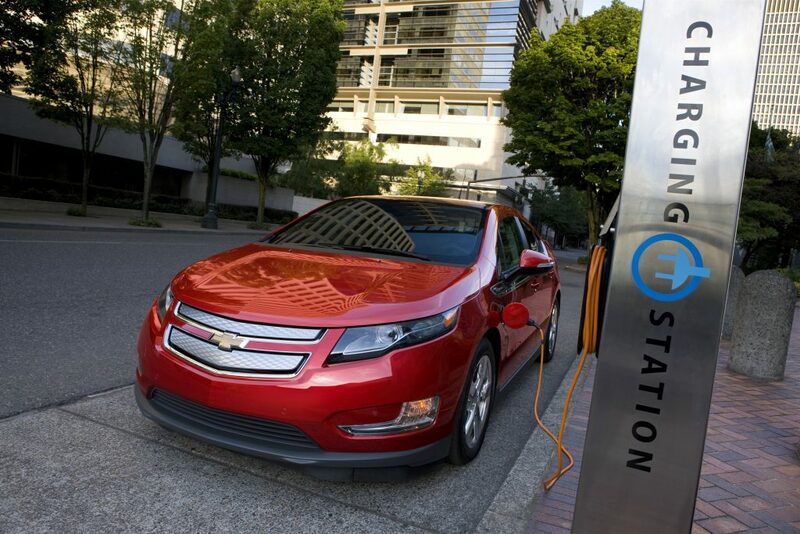 Electric Cars: All electric and “plug-in” hybrid cars can be charged at home or a public charging station. These vehicles are powered by the same electricity that comes from local power plants and is often cleaner than gasoline or diesel. Fuel Blending: Blending biofuels with gasoline creates fewer emissions and has the potential to offset 10-24 percent of current U.S. greenhouse gas emissions. Corn-based ethanol is the dominant biofuel in the United States. In the future, cellulosic ethanol and sugar-cane-based ethanol may enable reductions of up to 100 percent. Advanced Diesels and Hybrids: Diesels and hybrids use different engines than the standard internal combustion engine; diesels also use different fuels. These technologies both offer significant improvements in fuel economy and because they use less gas and produce fewer greenhouse gas emissions when compared to other cars and trucks. When both technologies are combined in a diesel hybrid vehicle, it can reduce greenhouse gas emissions per mile by 65 percent. Hydrogen Fuel Cells: Hydrogen fuel cells, a staple of the U.S. space program, produce power by combining oxygen with hydrogen with the only “tail pipe emission” being water vapor. Technological advances and reductions in costs associated with fuel cells could promote a future with more hydrogen-based transportation options. Major companies are already experimenting with hydrogen vehicles. About a fifth of U.S. greenhouse gas emissions come from industry, including from making iron and steel, cement, and aluminum. Emissions can be reduced by capturing, recovering and/or reprocessing emissions for another industrial product or process. Increasing collaboration among industries that could use captured emissions would also help. Many companies are setting emissions goals and taking steps to reduce emissions from industrial processes. Agriculture contributes 9 percent of total U.S. greenhouse gas emissions. Emissions come from crop agriculture, such as rice or corn, and from livestock. We can reduce emissions by changing how we grow and manage crops and livestock. Heavy chemicals and petroleum-based fertilizers are responsible for 50 percent of the emissions in the sector. Livestock (especially cows) emit large amounts of methane so reducing the dependence on livestock as food and improving feeding management would help reduce emissions. Manure is a byproduct of livestock and accounts for 14 percent of emissions from the sector. Finding innovative solutions to manage manure such as aerobic containment would lower emissions. Another area of note is land use, which includes land-use change and forestry. This sector stores more greenhouse gas emissions in soil and plants than it might emit. Land use is thus counted as a “sink” and experts estimate it captures 11 percent of U.S. emissions. For a full breakdown of U.S. emissions visit the Environmental Protection Agency. Some activities produce greenhouse gases, and are considered a source. A car that burns gasoline and releases carbon dioxide is a source of greenhouse gas emissions. Other activities and things that capture greenhouse gases are called sinks. A forest is a carbon sink because the trees and plants collect and store carbon dioxide naturally. Climate change will continue, and accelerate, in the years ahead, with significant impacts on the health of our oceans, forests, freshwater, and our towns and cities. While we must reduce greenhouse gas emissions to avoid the worst impacts of climate change, we also have to prepare for impacts, like sea-level rise and more frequent and intense extreme weather, that we can’t avoid. Some systems and societies are more vulnerable to the impacts of climate change than others because of where they are located or how well their economy or government functions. Many developing countries, and even some places in the U.S., are limited by economic or technological resources, making it harder to prepare. Adapting and building resilience to climate change requires thinking about how a changing climate will affect where and how we grow our food and build our homes, bridges, and roads. It also means thinking about the costs and benefits of preparing vs. reacting. In many cases, acting now to limit the damage from climate change is often smarter—and costs less in the long run—than acting later. What impacts (like droughts, heat waves, floods, sea-level rise) are expected to affect our area? How many people and species in our area could be harmed by those changes? Will we feel the impacts very soon or not until many years from now? What Can You Do To Build Resilience? Have a preparedness plan for extreme weather. The Red Cross has some great tips for making plans and putting together an emergency kit for extreme weather events like severe storms or heat waves. An emergency kit includes important phone numbers and copies of important documents, flashlights, cell phone chargers, nonperishable food, water, etc. Local Actions: Local communities are seeking to build resilience as coastal cities, farms, and other areas experience more climate impacts. Many cities have committed to innovative and cost-effective solutions, and more cities complete adaptation plans every year. State Actions: Several states are recognizing the need for adaptation planning, and have started taking steps to make sure they are ready for climate impacts. The Federal Role: The federal government can play an important role by supporting research into climate science and impacts, updating Federal Emergency Preparedness Plans to include potential climate change impacts, providing planning tools to help communities and businesses identify what is at risk, and funding education and training programs to ensure citizens are fully informed. Learn more about resilience planning. C2ES thanks the Alcoa Foundation for its support, which allowed us to develop our Climate Classroom content. As a fully independent organization, C2ES is solely responsible for its positions, programs, and publications.